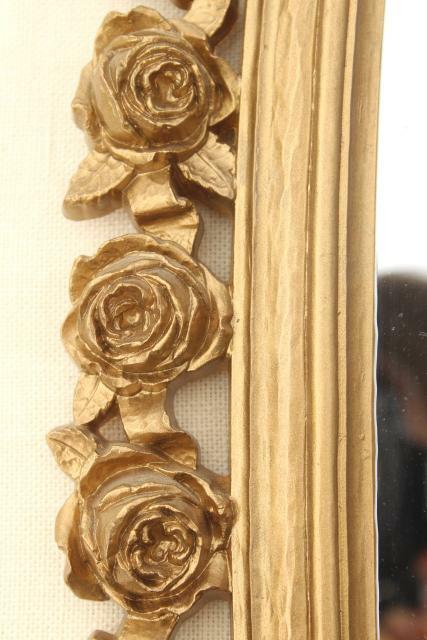 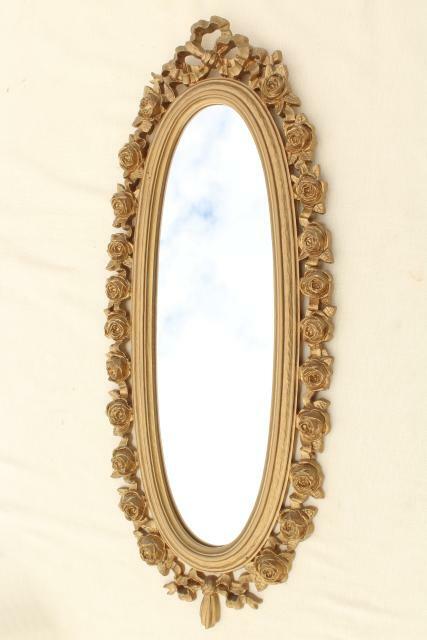 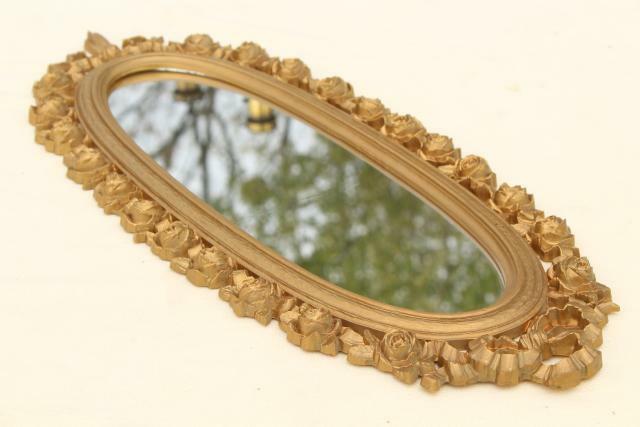 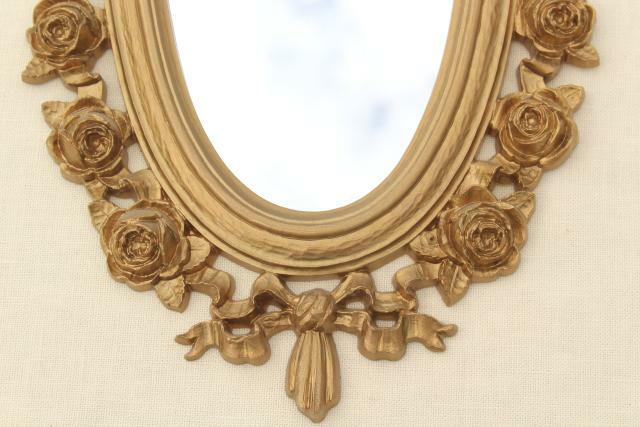 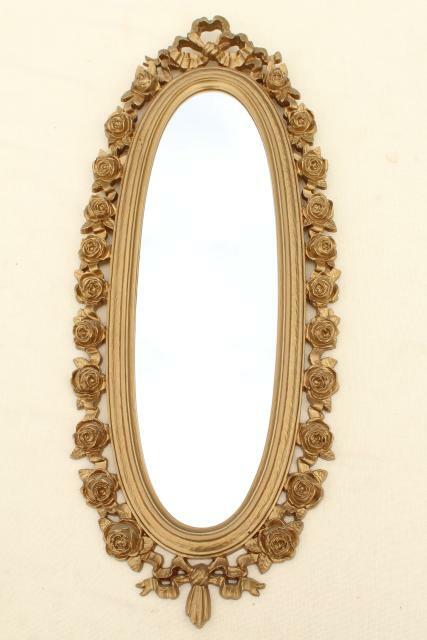 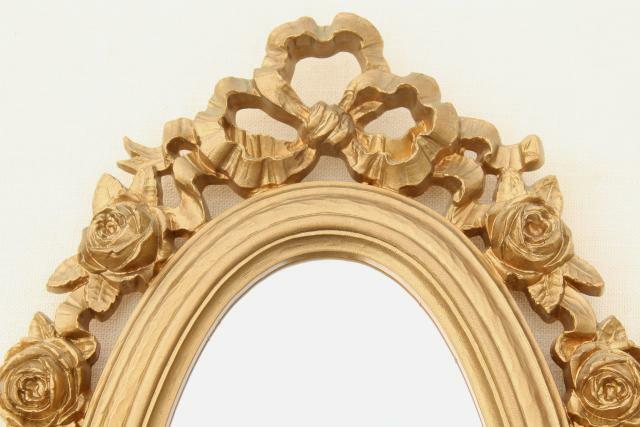 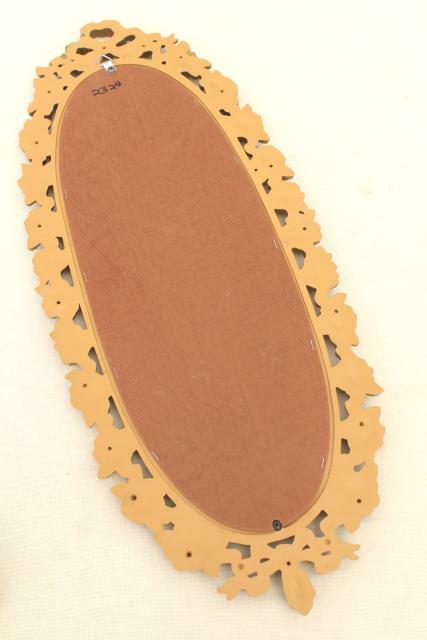 Vintage Syroco gold rococo plastic framed mirror, pretty enough for a fairy tale princess! 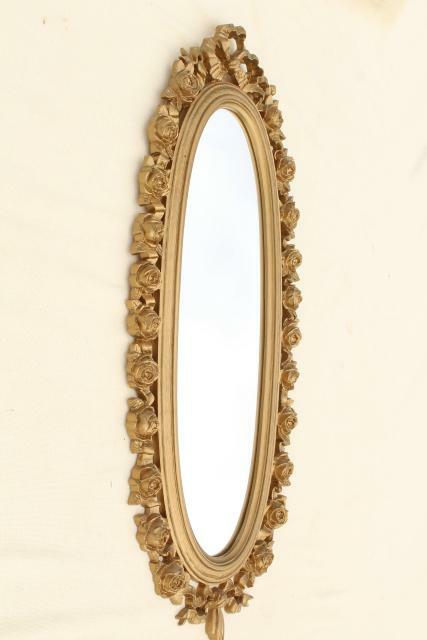 This measures about 25 1/2" long over the frame, with a nice narrow shape to fit in even a small space. 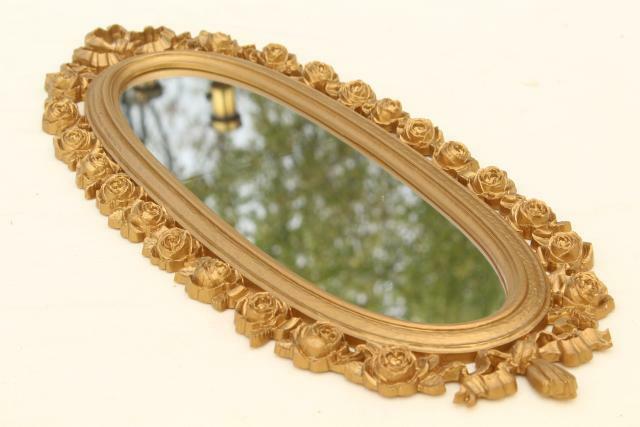 The glass looks good without spotting, and the frame itself is in excellent condition. 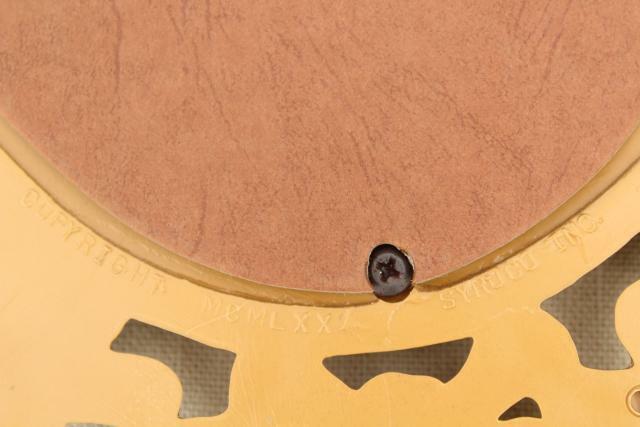 The backing is loose at one screw on the back - please see photos.